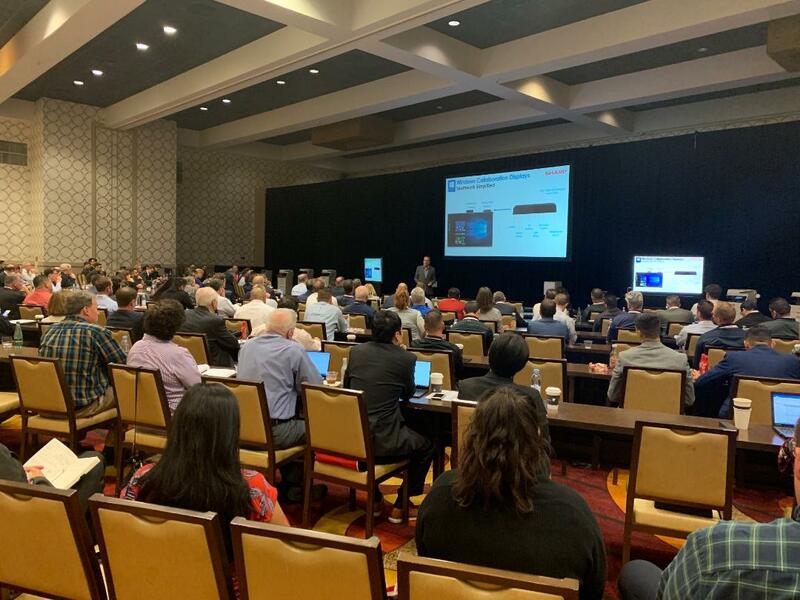 Sharp In Midst Of Roadshow – Los Angeles | Industry Analysts, Inc.
By Andy Slawetsky – Sharp is in the middle of a four-city road show that started in early March and ends in April. Dealers from all over each region will be at the road show locations and judging by the pictures posted on social media, attendance has so far been strong. Recently, Sharp was in Los Angeles (March 18 – 19), also hitting other cities such as Baltimore (March 7 – 8), Houston (March 12 – 13) and finishing their tour in Chicago April 1 – 2. If you’re attending the Chicago event, look for me and the other analysts, we’ll all be there! Tag lined “Momentum”, each road show kicks off with a lunch, then a general session and dinner/entertainment. The next day will start with breakout sessions, leading into lunch and departures. It looks like a busy couple of days. Follow my twitter feed to see what I’m seeing! Sharp’s Pen-on-Paper® Experience Is Highly Unique! This entry was posted in Sharp and tagged los angeles, road show, Sharp by IA Staff. Bookmark the permalink.